Nite » Auditions for the Poetic Disasters Club. 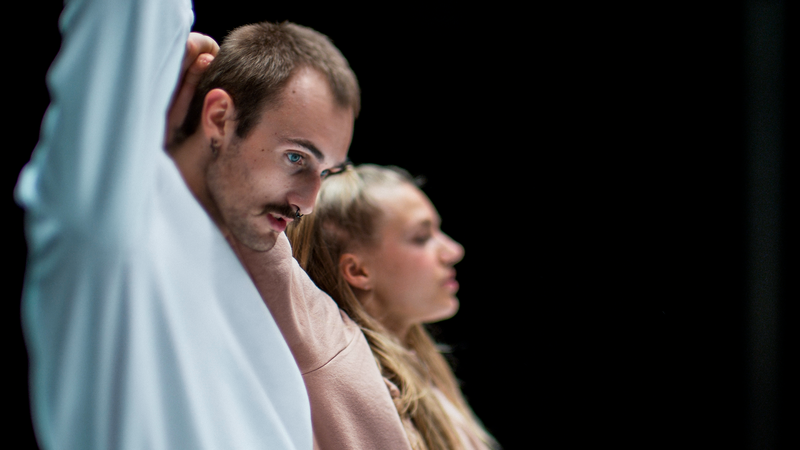 The Poetic Disasters Club is a joined initiative dance company based in Groningen (NL). Part of Club Guy & Roni, het Noord Nederlands Toneel (NNT) and working with Slagwerk Den Haag (SDH).The company is dedicated to the creation of fresh and contemporary repertory, performed by a young, international ensemble. We are looking dancers in their last year of education, who are curious about the clashing of artistic disciplines. The group is focusing on research and development and will produce a wide variety of productions (in theater/ on location etc.). The repertory will include productions created by new and experienced makers, such as Dunja Jocic, Karin Noeken etc. Club Guy & Roni’s Poetic Disasters Club – CARRY/JUMP/CATCH from Club Guy & Roni on Vimeo.